Holiday to Bali in 2016 are not comparable with previous years, if you want to enjoy and witness the cultural and religious attractions in Bali. Because of cultural and religious attractions in Bali using a calendar that is different from that used globally. 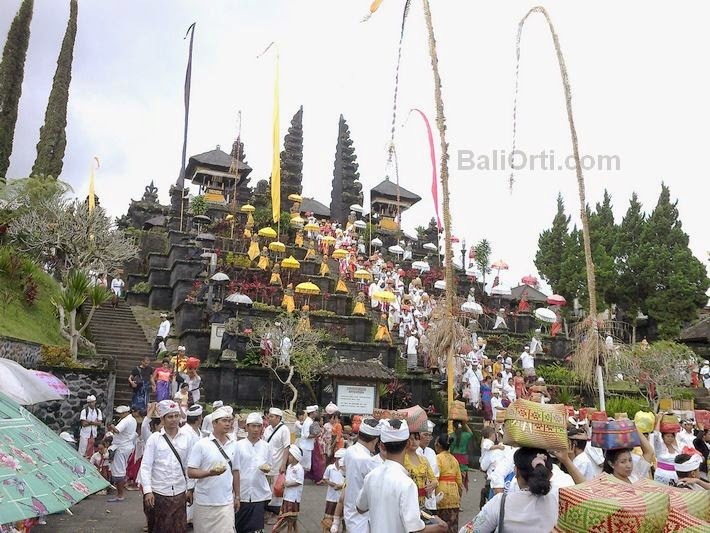 Bali has its own calendar for determining the good days and the establishment of religious and cultural activities. Balinese calendar month is calculated based on the rotation around the earth. So, when should a holiday to Bali in 2016? Vacation in Bali in 2016 to see and enjoy ataraksi cultures and religions, with the feel of a typical Bali and the Balinese people with activity and religious rituals are unique and beautifully nuanced art. Here is the attractions and activities in the context of religion and culture in Bali that can be seen as a tourist attraction during the holidays. 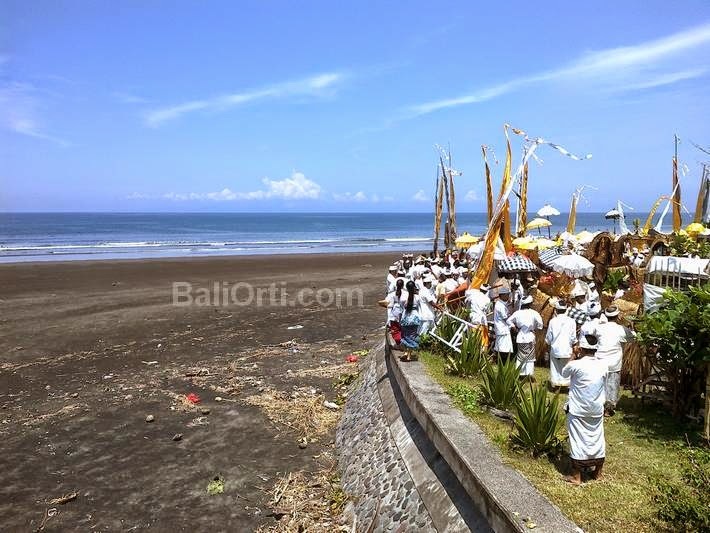 February 9, 2016: It is the day for the citizens of the Balinese to install Penjor 2016 in front of the house as a symbol to welcome the victory of Dharma over Adharma, the victory of good over evil. See also: Pictures: Penjor Galungan 2014. February 10, 2016: Galungan Day, the excitement for the people of Bali. 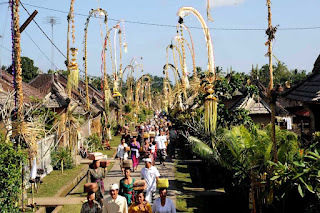 Galungan Day is a day to pray at the temple, so at this is all Hindus in Bali will pray in temples. All the temples in Bali crowded by people who pray. Galungan give a feel of the real Bali in the entire region of the island. Shades of yellow will be seen along the road, visible from Penjor colors that adorn the streets in all regions. Read Also: Galungan Celebration. February 20, 2016: Kuningan Day, the feel is almost the same as Galungan Day. March 6, 2016: Melasti Day. Is a day for cleaning all equipment that is in temple ceremonies, spiritual cleansing, brought to the sea to be purified, as a symbol of cleansing to welcome Nyepi Day 2016. The beach in Bali will be crowded by Hindus in the ritual of Melasti, Bali shades will be very terasi on the day. 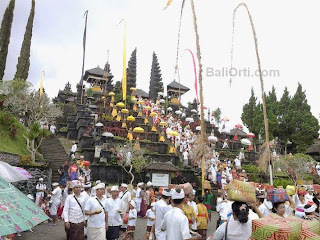 Read also: Melasti Ritual in Bali, on March 18, 2015. March 8th, 2016: Parade of Ogoh-Ogoh 2016 (Tilem Kesanga). Ogoh-Ogoh 2016 this year will be a little tense, because the issue of ISIS attacks in Bali still threaten the security of Bali. There is no appeal from the government on the implementation of Ogoh-Ogoh Parade 2016 in Bali. 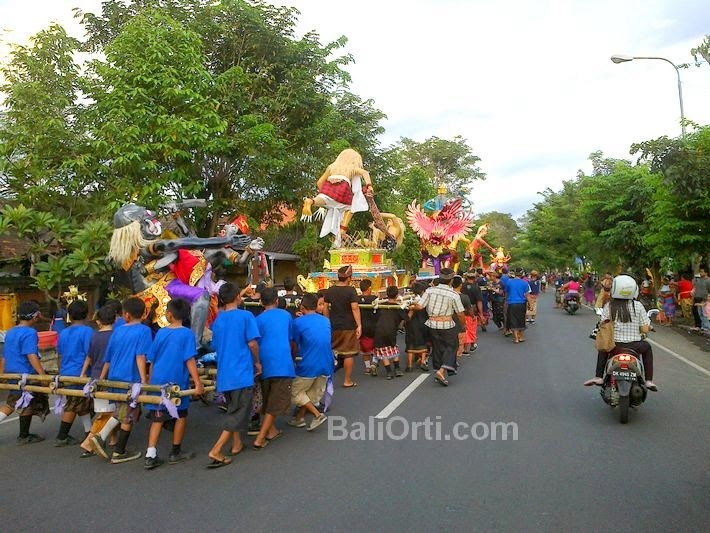 Read also: Ogoh-ogoh parade before Nyepi Day 2015. March 9, 2016: Nyepi Day 2016. If you like tranquility, then came on Nyepi Day will take place. Because on the day of Nyepi in Bali all activities will be stopped. No lights illuminating the houses and roads, no vehicles on the road, no one on the road, not allowed out of the house, quiet, quiet, no noise, no light, pitch dark all day. Airports also closed all day. March 10, 2016: Omed-Omedan 2016 mass kiss attraction performed by the young people of Bali. Only in Sesetan Indigenous Village, South Denpasar, Bali. March 23, 2016: Temple ceremony in Besakih. Besakih gets very crowded by Hindus to pray. Besakih will feel alive, beautiful, mystical. Many religious activities will be carried out on that day. See also: Pictures: Pura Besakih, Temple in Bali. June 25, 2016: Saraswati Day. Is the science for Hindus in Bali. All students will carry out the ceremonies and offerings to the Goddess Saraswati. June 29, 2016: Pagerwesi Day. Nuance is almost the same as Galungan Day. Just not as vibrant as Galungan Day. 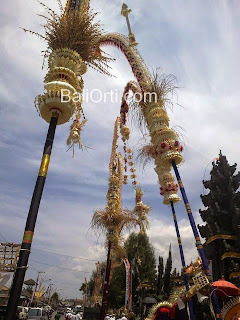 6 September 2016: Day for Penjor 2016 to install a second time, with regard to the celebration of Galungan, as Galungan Day normally takes place twice a year. 7 September 2016: Galungan Day. Galungan second time after February 10, 2016. 17 September 2016: Kuningan Day. The same shades as Galungan Day, this is the second time after Kuningan day in Februari. Bali real nuances can be felt on those days. Bali increasingly looks lively and lovely with religious nuances unique and distinctive. During the celebration of religious holidays and culture in Bali more memorable and different when compared to normal days.